Sir I was given the Andhra University Entrance Exam and now I am looking for my results so please can you give me the date of my result and provide me the page of result and informed me when the result announce on this E-Mail Kalik439@gmail.com? Hy dear I want to apply for the Andhra University PhD Admission so can you give me the date of admission and provide me the procedure of admission and give me the last date of Andhra University PhD Admission? 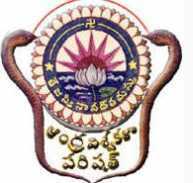 You want to know the Andhra University Exam Results. You have to go on the university website. You have to click on the result section the result section is available in the left side. You have to click on the “B.A. (CCS) Degree Examination at the end of First Year held in NOVEMBER, 2012”. You have to download this result. This result is declared on the “03/03/2013”. For more result are available for the university website. I am giving you the result list. The result list image is look like this. For complete result are providing you attachment file. You can download free from here. Last edited by Sashwat; February 3rd, 2014 at 12:27 PM. All times are GMT +6.5. The time now is 04:26 AM.